The Anarose toner removes dead skin cells, instantly soothes and firms your skin, helps fight acne and provides long lasting hydration and long term anti-aging benefits. 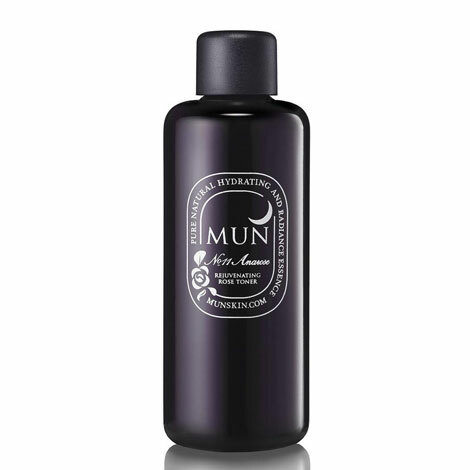 The unique Rose Water used for this toner is derived naturally for the strongest concentration. Prickly Pear Stem Extract contains essential amino acids, flavones, vitamins and antioxidants. Goji Berry Extract reduces UV and free radical damage. Willow Bark Extract, nature’s exfoliant, prepares the skin for applying moisturizer immediately after toner. The combination of pale rose, jasmine and daisy is clinically proven to recreate the soft and velvety sensation of petals on your skin. The Anarose toner exfoliates and hydrates while effectively balancing your skin’s pH level and is appropriate for all skin types and concerns ranging from acne to rosacea to mature skin. Ingredients: De-ionized Water, Rose Hydrosol* (Rose Water), Aloe Barbadensis (Aloe) Leaf Juice*, Maltodextrin, Opuntia Ficus-Indica (Prickly Pear) Stem Extract, Lycium Barbarum Fruit (Goji Berry) Extract, Hyaluronic Acid, Salix Alba (Willow) Bark Extract*, Rosa Centifolia Flower Extract, Jasminum Officinale (Jasmine) Flower Extract, Bellis Perennis (Daisy) Flower Extract, Xanthan Gum, Vegetable Glycerin, Dehydroacetic Acid**, Benzyl Alcohol**.